Mi A1 with its thin metal design and rounded back edges solidifies its unibody design, the discrete separation lineskeeps the design aesthetics exceptional, and seamless. For an improved thermal experience, we have used pyrolytic graphite sheet in the body which reduces the temperature by 2 °C. Stunning 5.5 inches (13.9 cm) 1080p display, protected by Corning® Gorilla® Glass, with 2.5D curved edges to elevate your multimedia experience to another level and to give you a seamless habitual premium transition in your hands. It comes with 3000/3080 mAh (min/typ) Lithium-ion Polymer battery with guaranteed days long standby and full day usage. It comes with USB Type-C customized 380V charger. It beats on the Qualcomm® Snapdragon™ 625, 64-bit Octa-core (Cortex A53) processor at 2.0Ghz. 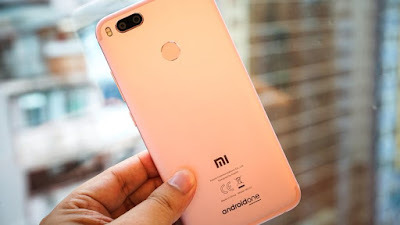 It has been built on the latest 14nm FinFET process technology to cope with the high intensive tasks and at the same time being gentle on battery. Adreno™ 506 PC-class graphics ensure the smoothness overall. It runs on pure Android OS, with guaranteed fresh upgrades right from the house of Google. 12MP wide-angle + 12MP telephoto lens, flagship dual camera setup with 1.25μm unit pixel size, the rear camera is guaranteed to give your perfect picture every time. Portrait mode with 2x optical, 10x digital zoom, and dual tone dual flash LED in combination, will surely put a DSLR experience in your pocket. The rear camera comes with smart beautify 3.0 and natural color correction feature. 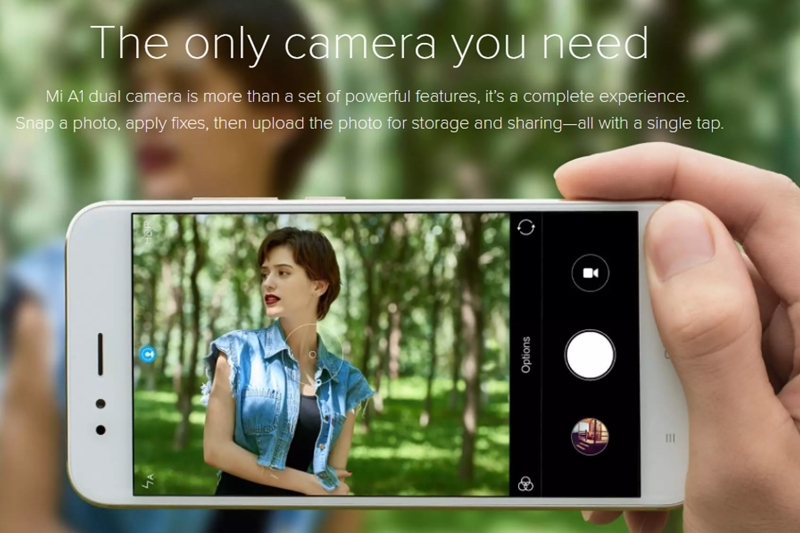 5MP front camera with completely redefined Beautify mode, supporting Smart, Pro mode, and Group shot will enhance frontal selfie shoots and help you put your best foot forward. MIUI camera app will come with unlimited google photos storage to keep you worry free on the storage part. It comes with 10V smart power amplifier which amplifies sound, improves playback quality, and protects speakers from damage at high volumes. DHS audio calibration algorithm & standalone audio amplifier which drives high impedance headphones up to 600 ohms, will take your audio listening experience to whole another level. Mi A1 comes with 4GB RAM to provide glitch free app switching and 64GB Internal Memory which should suffice all your storage needs. You can even expand the memroy by using hybrid sim slot for MicroSD card. 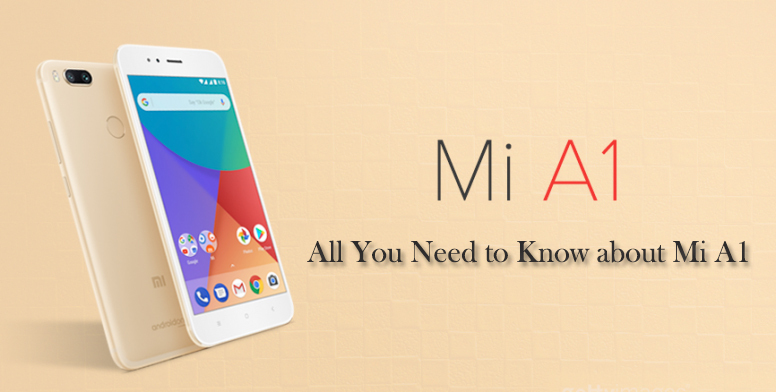 Mi A1 has dual-SIM, dual standby setup which can take 2 SIMs and supports FDD-LTE / TDD-LTE, WCDMA, GSM and has VoLTE support out of the box. It comes packed with IR blaster which makes it your universal remote for hundreds of brands and thousands of models of TVs, air conditioners, set-up boxes, including the most popular Indian devices. It has a white notification LED which sits on the right side of the front camera. It comes in Black, Gold & Rose Gold. Black one specifically comes with Anti fingerprint resistant coating. The box contains 1 Mi A1, 1 Adapter, 1 USB Type-C Cable, 1 User Guide, 1 Warranty Card, 1 SIM eject tool. 0 Response to " Mi A1 : All You Need to Know About “Flagship Dual Cam”"